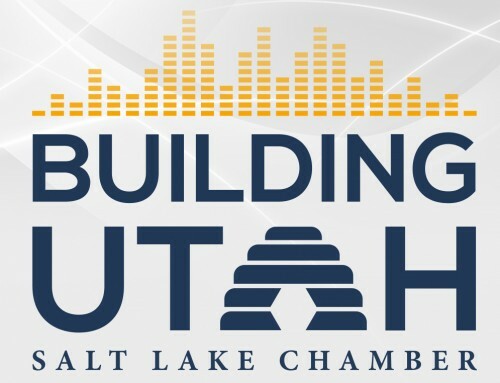 Anyone who isn’t familiar with the newly created Department of Economic Development in Salt Lake City and how much they are growing, ought to meet Lara Fritts and her team. As Director of Salt Lake City’s Department of Economic Development, Lara leads three divisions – the Redevelopment Agency of Salt Lake City, Business Development, and Arts and Culture. The job of an economic developer is all about building and keeping relationships – from business owners to politicians, developers to artists, policy makers to non-profits, there is no “typical” day for Lara. This is, of course, one of the reasons she got into this profession over 25 years ago. Lara’s role is a demanding one on any given week, despite building a department from scratch – she has helped facilitate over $1B in investment and almost 9,000 jobs to the City! We just had to see for ourselves what a day looks like for her. Take a peek into Lara’s day. 5:15 a.m. Good morning! I’m a morning person, and my dog Harold is a very cute alarm clock. Time to start the day and first order of business is check my twitter feed to get up to speed on what’s happening. 6:00 a.m. I get myself ready for the day and make sure I know what my day looks like (check the calendar). My husband reads both local and national newspapers and provides me an overview of what maybe hot topics discussed at work. 7:00 a.m. Stop by one of several neighborhood coffee joints for my required coffee. Now I’m really AWAKE — ready to tackle the day! 7:30 a.m. In the office to enjoy some “calm before the storm”. I use this quiet time in the office before most of the staff arrive to catch up on emails, review what I need to prepare for upcoming meetings, and send staff my ideas I have developed to keep moving our strategic initiatives forward. 8:00a.m. – 5:30p.m. More often than not, my day is PACKED with meetings. Seriously, lots of meetings. Sometimes I don’t have time to pee – literally. I am so proud to sit on a number of boards in the local community and nationally and want to be sure I am fulfilling those board duties, meeting with businesses looking to invest in SLC, meet with state legislators, local developers, the Mayor and City Council Members, other cabinet members, connect with my executive staff on current and future projects or strategizing the future of the department and ensuring my team is executing on our Department’s strategic plan. Most of this on a day that doesn’t throw me a curveball! 6:00 p.m. Leave the office. Several days a week I will attend an after-hours event. Usually a community meeting, networking reception, ribbon-cutting, or taking a client out, etc. 7:30 pm. Finally home, long day. It’s my very patient, supportive husband’s night to cook. He orders takeout from our favorite local spot – Wagyu Beef Stroganof with house made pappardelle, and an arugula salad. Heaven! I’m really lucky that my husband is a great listener as he gets a detailed account of my day. 8:30 p.m. Cuddle with Harold while reading documents and responding to emails. We also begin Harold’s bedtime routine. Yes, my very adorable and high-maintenance dog has a bedtime routine. We have to “put” him to bed. 10:00 p.m. It’s bedtime. Oh the life I lead. One last check of social media or reading of a book to help calm my active brain. Early start tomorrow for a local TV segment at 6:00 a.m. Good night!